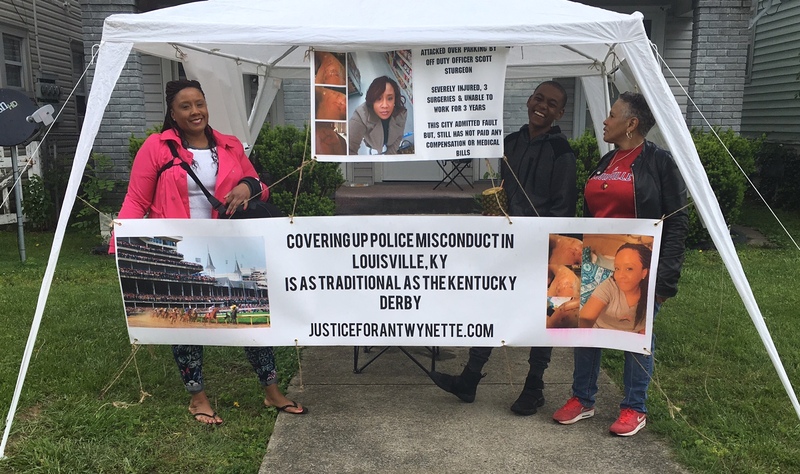 Assault by a Former Louisville Metro Policeman and Subsequent Treatment by the Justice System Does Little to Deter Her Fight for Justice. Houston’s first victory was the total dismissal of charges stemming from the incident. This vindicated her assertion that she was innocent. She also stated that at first she was unaware that she’d been charged with anything at all. Houston explained it this way, “Actually it’s funny, because I didn’t even understand that I’d been charged with anything until months and months later. My attorney kept going back and forth to court, and once he said we were going to have to go to trial, that’s when he explained it was over the false charges that had been put on me alleging I was parked in a handicap space and I didn’t have a license. It just did not make any sense to me that we would go to trial over something that was so obvious and wasn’t true. It was my word against his. He was a police officer and they were taking his word even though the video showed something totally different. Plus the other officers that came said something different. It didn’t make any sense but that’s what was happening. They dismissed the charges with prejudice. So they aren’t supposed to be able to bring it up again. So after they did that I felt like that cleared my name. Now everyone will know I did nothing wrong. Since her injury in August of 2013, Houston has staved off homelessness for herself and her son. She made it financially as a result of numerous yard sales plus the support and efforts of others. In December of 2016 a Kentucky Judge gave Houston her second victory when he ruled that she was 100% disabled as a result of Officer Sturgeons actions. This put to rest those assertions by some that she was somehow not injured. This verdict also provided the needed financial resources to provide for Houston and her son. Gone is the struggle with day-to-day challenges to put gas in her car or pay rent. Now Houston has enough to take care of monthly bills. She no longer has to sell every item she owns to keep the lights on. The Medicare was a godsend which allows her the flexibility to cross state lines for medical treatment. Prior to that she had to pay for services up front. Something she could not afford. Recently, Houston underwent her 4th surgery, it was her 3rd surgery stemming from the incident. 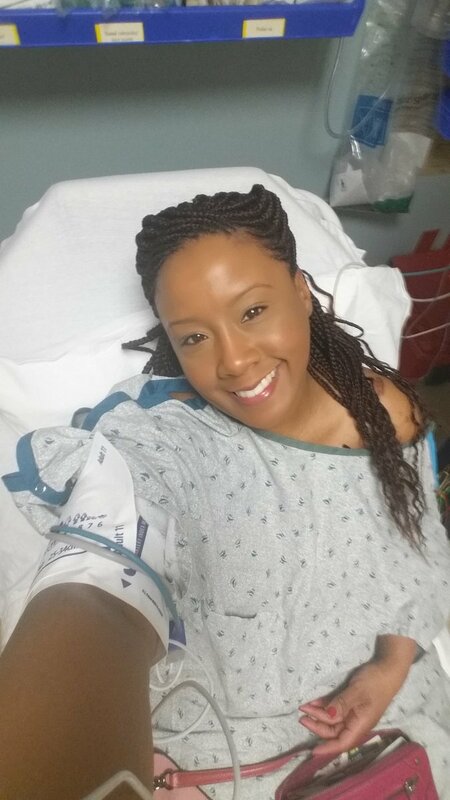 Her surgeon Robert Thompson, MD., Director of the Washington University Center for Thoracic Outlet Syndrome at Barnes-Jewish Hospital in St. Louis, Missouri, provided another victory for her, when he confirmed and identified her injury as the rare condition known as Quadrilateral Space Syndrome . Dr. Thompson specializes in Vascular Surgery, Thoracic Outlet Syndrome, Subclavian Vein Thrombosis, Subclavian Artery Aneurysm, Cervical Rib, and Brachial Plexus Compression. In 2016, Houston single handily boycotted the 142nd running of the Kentucky Derby. 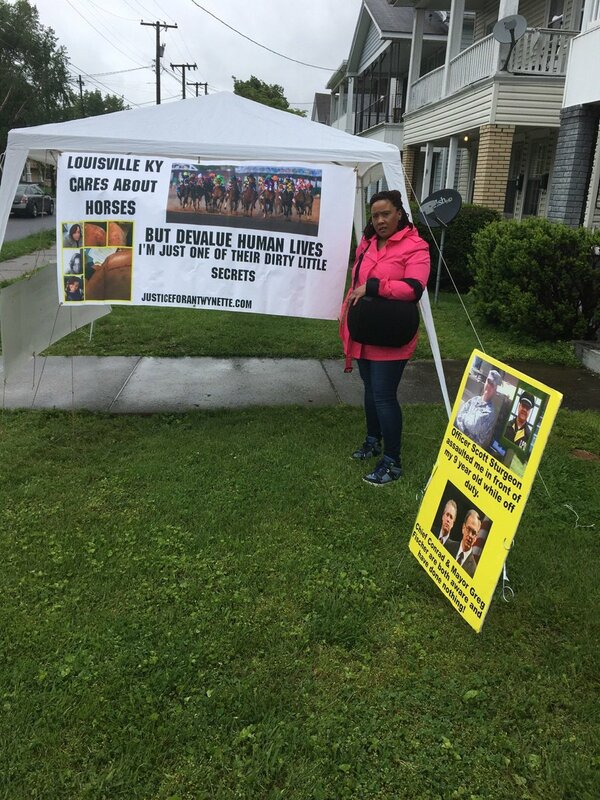 She received words of support and encouragement from numerous people who saw her protesting. In addition, her petition on Change.org drew support from people living in countries like; France, United Kingdom, Canada, Italy, South Africa, Ireland, South Korea, Grenada and the U.S. Virgin Islands. There was also support from residents living in some thirty-five states. “I think it’s a shame that the City is not behind her. Our preacher is not behind her and I think it’s pretty sad that she’s gotten more help from other cities, other preachers in other places or states. Kentucky is not looking at her situation. They could care less. Things like this are happening every day and not just to her. It’s very hurtful and I’m ready for it to just be over so we can move on with our lives. Its been a long struggle but, I know in my heart something good will come of it. She’s going to do something great to help somebody else. With what she’s in and the struggle she’s going through somebody else will be helped because of this. Looking Ahead to Better Days..
Houston plans to help other victims once her case has been resolved. The plight of young black men being killed and assaulted by police troubles her immensely. “I think our black youth are like an endangered species. We really have to pay attention to them. There’s really no way to make sure they’re safe. Trayvon Martin was targeted, Tamir Rice was targeted, and these little boys are being targeted because they’re black. The recent attacks in schools illustrate they’re doing it mostly to black children. It’s a shame. All we can do is educate them. I tell my son he needs to pay attention to his surroundings but I really do believe that if they want you they’re going to come after you. I don’t think you can dress a certain way, I don’t think you can be super nice and they won’t hurt you, I don’t think you can be compliant. We’ve seen that you can be compliant and still die. I really don’t know what the answer is. I don’t know how to keep our young boys safe. It’s like they’re walking around with a target on their back and it makes me sad, It makes me sad for my son because I don’t know whats going to happen to him. All I can do is keep him close to me. Remind him to carry himself a certain way when he goes out into the world. But to be honest it doesn’t matter how he carries himself, how smart he is, what kind of job he has, he’s still a black man. So knowing that makes me sad. Houston said her heart aches for her son, her grandson and all the black youth. She understands that they go after young girls and women as well as black boys and black men It’s a problem she believes we must find a solution to.